We explore how intelligent, agent-based techniques can be used to improve and automate handling of user’s sensitive information in the social networks and on the Social Web in general. 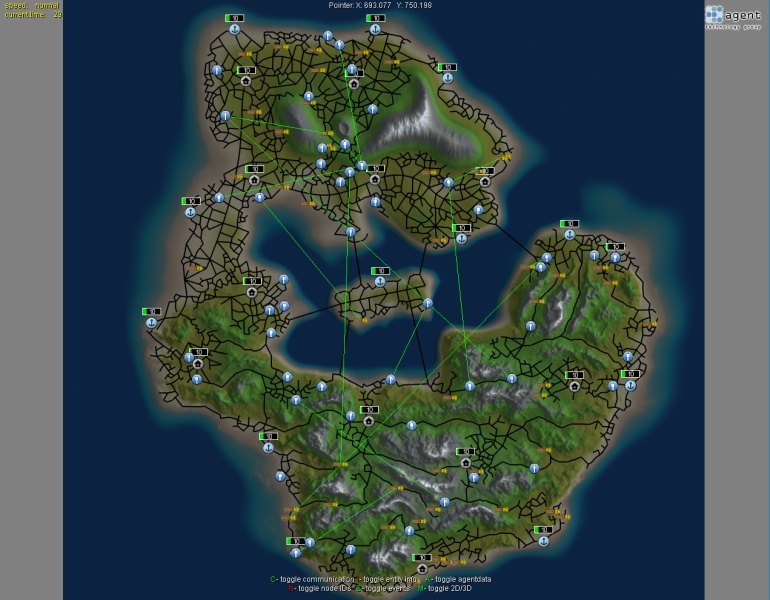 The project started on the 1st of September, 2006 and continued until 2009. Public results are available on the project web site (http://www.ist-contract.org/) from early 2007. Denso is a Japanese automotive parts manufacturer that supplies a wide range of electronic products worldwide. This project aims to employ agents to simulate the architecture and the behavior of a car electronic system consisting of a number of electronic devices (electronic control units - ECUs, CAN buses, sensors and switches), to model user-controlled communication failures and operation faults introduced to the system and to design various agent-based diagnostic tools that could eventually be deployed on real hardware. Currently only a subset of the entire electronic system, a door-locking system, is being simulated, based on a simplified architecture specification provided by Denso. Finding abnormal vessels’ behavior is very important these days because of maritime security. There available large databases providing ship tracks’ history and other vessel’s parameters. 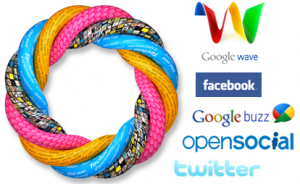 These databases are provided by different companies and organizations and these data are often private. For these reasons it is convenient to use multi-agent machine learning and data-mining in this domain. We analyze vessels’ tracks then we classify vessels and eventually inform an operator about suspicious behavior. Our research on this project mainly focuses on multi-agent machine learning, data-mining and negotiation among agents during learning process. The main goal of multi-agent negotiation among agents is to improve individual learning performance of each agent with the respect to agent’s privacy-preserving. Our research also focus on Meta-Reasoning in this domain. Meta-agents are independent monitoring entities capable of a higher-level (meta-level) analyzing and meta-reasoning about the agents’ behavior. Several meta-agents can cooperate using distributed learning mechanisms. The concept of meta-agents has been evaluated in ACROSS logistic simulation and now is being applied in the real-world domain of detection of anomalies in behavior of maritime vessels. In the U. S. Army project “Modelling Cognitive/Reflective Agents” number N62558-05-C-0028 (extension of N62558-04-C-6001) we investigate an autonomous adaptation in multi-agent systems achieved by reflection and cognition. The reflection could be described as a specific quality of any computational system to change the process of its computation based on acquired knowledge about its computational state, data and execution processes. When applied to multi-agent systems, the reflection process implements revision of agents’ behavior. In order to do the right kind of revision, the agents need to know the right set of knowledge about themselves, or about each other. This knowledge is gathered and evaluated by the cognition process. 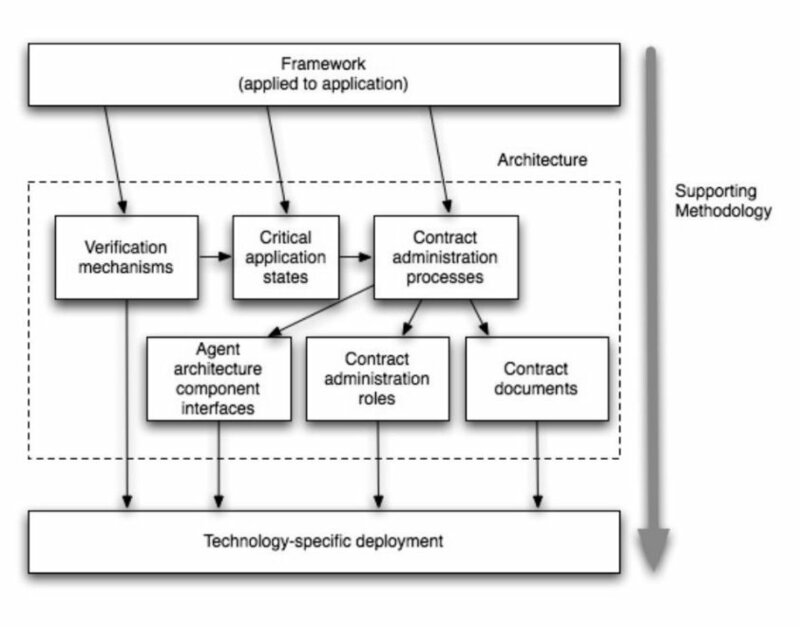 The RC architecture was tested on ACROSS scenario. In our recent work, we focus on the aspect of collective reflection - the ability of agents to change others agents’ reasoning algorithms and to cooperate on the code optimization process. The trust mechanism in any environment has two main roles - it not only protects the agents using the mechanism from repetitive malicious behavior of the others, but also reduces the incentive to behave maliciously, increasing the system-level security and effectively enabling cooperation. Development of an efficient trust model that is adapted for ubiquitous computing environment. This model, based on fuzzy number formalism, allows an explicit uncertainty representation and works with the uncertainty while taking the trusting decision. The decision is computed by means of Mamdani inference, a well known formalism form the fuzzy control theory. This formalism also allows our model to ba adaptive -- after the deployment it identifies the “normal” level of trustfulness in the current environment and uses it as the other input of the inference mechanism. This model has been deployed and verified in the ACROSS scenario. It has also been integrated with a planning mechanism to modify the planning outputs in function of the trustfulness of the partner and the environment. Development of a universal mechanism that can be combined with most existing trust models to extend their capabilities towards efficient modelling of the situational (context-dependent) trust. The mechanism describes the similarity between the situations using their distance in a metric space and defines a set of reference contexts in this space to which it associates the trustfulness data. The data associated with each reference contexts is updated and queried with the weight that decreases with distance between the current situation and the reference context. Currently, we use Leader-Follower clustering algorithm to place the reference contexts to be representative of the data. Multi-context nature of the model also expands its use towards more advanced uses, allowing policy/norm learning from at the trust model at runtime, as well as reasoning based on uncertain identities. We are currently considering the application of the mechanism for network security and intrusion detection. ACROSS scenario provides a rich agent testbed that is used for meta-reasoning, intrusion-detection and trust research. In the scenario, we solve a logistics problem in a non-collaborative environment with self-interested agents. Agents that are part of the scenario have no common goals and their cooperation is typically financially motivated. 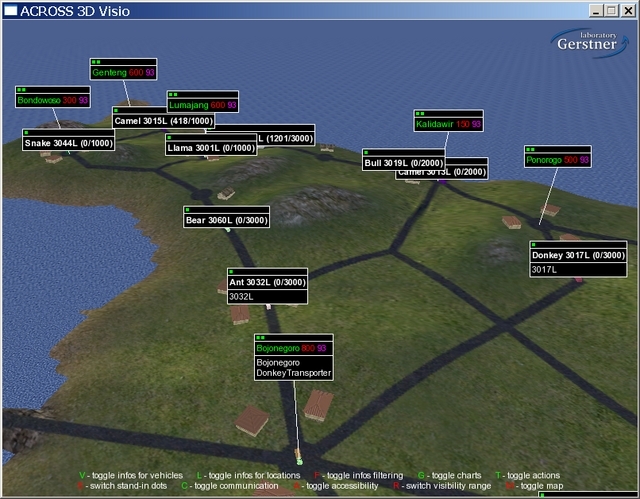 Location Agents: Location agents represent population (cities) and natural resources. They create, transform or consume resources and they also acquire the transport of goods from the ad-hoc coalitions of transporter agents. Transporter Agents: Transporter Agents are the principal agents in our scenario. They use their resources - vehicles, driven by Driver agents - to transport the cargo as requested by location agents. As a normal request exceeds the size that may be handled by a single transporter, transporters must form one-time coalitions in order to increase the coverage -- the principal evaluation parameter in the auction bids. To form these coalitions, they use the trust model presented in the previous section. Driver Agents: Driver Agents drive the vehicles owned by Transporter agents. They handle path-planning, loading, unloading, status reporting and other driver duties. The project I-Globe: Distributed Planning and Coordination of Team-oriented Activities in a Dynamic Environment investigates (by means of formal modeling and experimental validation) integration of automated planning methods and multi-agent technologies in a distributed planning architecture. It includes planning in distributed mixed initiative, scenarios (with various communication accessibility), seamless planning across various planning levels, real-time flexible re-planning and plan repair, integrated planning, coordination and action monitoring and integrated planning and simulation. There are three classes of technology for integration: HTN centralized planning (featuring HMI), MAP multi-agent planning, and MAS multi-agent simulation. The MAS is based on the ACROSS multi-agent simulation scenario (previously funded by CERDEC, developed at ATG) and PACIFICA (previously DARPA funded scenario, developed at AIAI). The research goals are divided by three planning levels: strategic/tactical planning levels, where the mission specific goals are set, decomposed and refined and individual subgoals are assigned to individual actors (or classes of actors) using the Agent Commitments and individual planning level, where individual actors perform (individually, or in collaboration with others) temporal and spatial assignment of their actions. The particular goals are: generalization on integration of HTN, MAP and MAS and providing an integration methodology and formal framework, providing of tools and technology for runtime deployment of HTN and MAP on all different planning levels, based on events in MAS, facilitation of re-planning and plan repair in distributed planning environment, allow coordination among planning agents (mainly HTN) on either level, and performing intentional modeling of the planner by means of BDI. 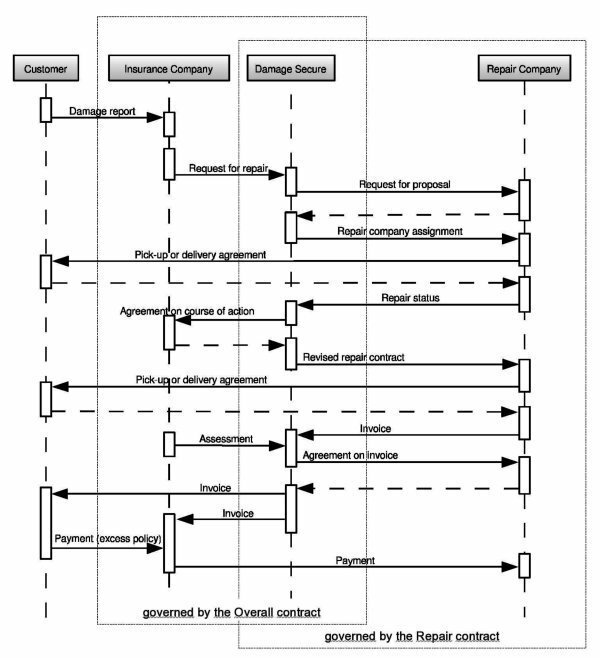 “Collaborative Process Automation Support using Service Level Agreements and INtelligent Dynamic Agents in SME clusters” (PANDA) is a FP6-IST R&D project funded by the European Community within the framework of the specific research and technological development programme “Integrating and Strengthening the European Research Area (2002-2006)”. The aim of PANDA project is to provide a powerful framework of e-business services dedicated to address current inefficiencies in the European ERP/CRM industry and facilitate international e-collaborations based on local actors and alliances. Form Request-Based Virtual Organisations (RBVOs) as flexible clusters reflecting the international ERP/CRM value chain. Use innovative sector-specific Service Level Agreements (SLAs), acting as the regulating framework, among value chain members, for RBVOs operations. Utilise a community of Intelligent Agents (Multi-Agent System) that will be developed to orchestrate and automate SLAs empowerment and RBVO operations in a predefined, standardized and automatically generated manner. PANDA’s components will be developed and integrated in a prototype web-platform to serve ERP/CRM value chain actors. In ten years, in response to fast changing market conditions, most enterprises and specially the SMEs will be part of some sustainable collaborative networks that will act as breeding environments for the formation of dynamic virtual organizations. The clustering and integration of Small and Medium Enterprises (SME) is a natural evolution that reflects acceleration and increasing complexity of the business opportunities. Virtual Organization (VO) introduces a temporary coalition of organisations, which utilizes pre-prepared and pre-negotiated general parts of the contract. Virtual Organization Breeding Environment (VBE) introduces a pool (alliance) of entities that is established in order to facilitate exploitation of possible and profitable collaborations by means of VOs creation and management. The mission of VBE is to facilitate sharing information of its members’ profiles and competencies. e-Cat - Prototype of Members Profiling and Competency Management Tool: The e-Cat is an agent-based prototype of a tool for maintenance of members’ profiles and competencies in VBEs. Its task is to keep, manage and distribute profiles of VBE members. Presented technology is based on distributed set of agents, representing individual members, which are supported by centralized elements. Such technology of hybrid peer-to-peer network enables effective cooperation in heterogeneous distributed environment when agents ensure maximal independence between VBE members. The e-Cat has been developed in WP2 of ECOLEAD project by ATG and CERTICON a.s.
Decision Support System for Virtual Organization Management (DSS): DSS is a Decision Support System component of the VO Performance Management for supporting VO manager mainly during the operation and evolution phases of VO lifecycle. The DSS gather VO configuration and latest VO operational data from other components of the VO Performance Management and processes them to provide VO manager with semi-automated simulation of VO performance. The VO performance prediction supports decision process before and during the VO modifications. The outputs are presented in a “human-friendly” way to support VO manager to decide about a negotiation for VO adaptation. The DSS has been developed in WP3 and WP8 of ECOLEAD project by ATG and CERTICON a.s. The main aim of the ExtraPlanT project is to introduce, customize and validate the ProPlanT multi-agent technology in the area of extra-enterprise production planning, supply chain management and optimization of virtual enterprise operation. Project was supported in part by European Commission’s Information Technologies Programme (IST-1999-20171 project “ExPlanTech - Exploitation of Agent-based Production Planning using the ProPlanT Technology”). The objective of the ExPlanTech Trial was to introduce and customise a novel multi-agent production planning technology (ProPlanT system) in two specific industrial cases. Our aim was to demonstrate a new quality of project-driven production planning based on multi-agent engineering and distributed processing as compared to the traditional solutions. The new multi-agent technology offers new opportunities to adapt the industrial manufacturing to the more demanding customer needs while optimising resources utilisation, intelligent decision processes and supplier chains. Moreover, our aim was to integrate the customized ProPlanT prototype into the existing Enterprise Resource Planning (ERP) systems at the end users sites. food packaging industry in Hatzapoulos s.a., GR. While the former pilot has been developed by CertiCon, a.s. a Czech software company the latter one has been developed by Altec s.a. a Greek ERP provider. ExPlanTech integrates company running information systems, creates computational models of the manufacturing units (such as workshops, machines, craftsmen). The result of the system’s computation is a production plan and efficient resource allocation. The system is FIPA compliant and uses latest agent-based technology. 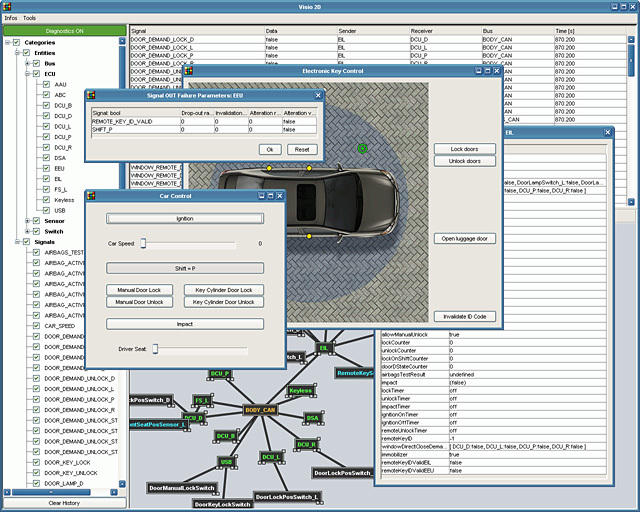 An agent-based manufacturing simulation system SimPlanT implemented in A-Globe supports fast evaluation of various production configurations and planning techniques. Visualization and analytical interfaces allows to inspect material flow, load of the machines and to detect bottlenecks and critical parts of the configuration. Individual agents simulate production buffers, conveyor belts and machines with the different parameters. Development of this system was partially supported by CONCERN project.